Every child loves a picnic where they can play on the park equipment or just run around. 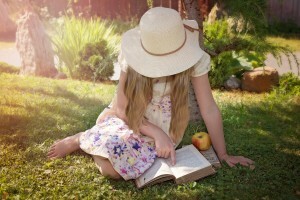 Before you head out on your picnic, head to your local bookstore and allow your youngster to choose a book. Purchase two copies and read along with them. As you finish a chapter, stop to discuss what has happened so far and where you think the next chapter will go. You can even make small bets about what will happen in the rest of the story with the winner (including you) receiving a small treat! If your family enjoys family game night then why not move it to the outdoors?? Pack up a few of your favorite games and head to your favorite outdoor spot and enjoy a combination of physical activities and board games. Try to choose games which require them to think, such as Monopoly, and take it one step further by making them the banker. The above ideas are not only fun but they also allow you to identify if your student is experiencing any learning challenges. Speak with The Tutoring Center, Houston at (832) 571-8224 to learn more about how tutoring can help improve your student’s grades and to book your free initial diagnostic assessment.